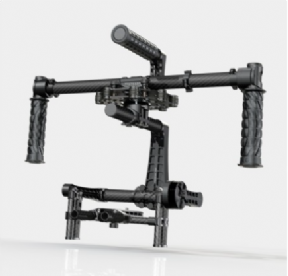 technology with cutting edge electronics present a revolution in camera stabilisation technology. even better and the focus was kept on innovative design. Not to mention an incredible attention to detail. It represents a combination of passion for the project and months of research, development and testing. The cutting-edge 32-bit AlexMos electronics make the BeSteady ONE PLUS highly versatile and adaptable. enables every operator to pull off even the most demanding shots. – much more intuitive and simple to use than genuine AlexMos GUI. That means no P, I or D - only sliders. are milling everything from aircraft grade aluminium. No more problems with configuration thanks to simple yet advanced software. Much more power thanks to the new architecture. STM32 processor is much more powerful than the 8-bit solution. freedom during shoots and less jitter in hard situations.